For more than 25 years, Janet Treer has excelled in business management and helping companies establish and exceed their goals. The Treer Group is dedicated to maximizing business success, while advancing careers and creating more positive business cultures. Janet strongly believes in creating long-term, sustained change that comes from within the organization. Clients benefit from her expertise in assessing companies, teams and individuals, and then helping them develop and implement highly-effective strategies and action-plans to achieve ongoing, positive results. 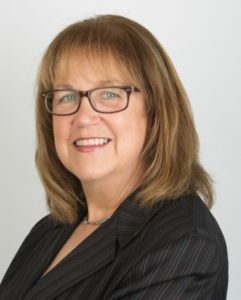 Prior to founding The Treer Group, Janet was Regional Vice President of Operations, Premedia Technologies, for industry giant RR Donnelley, the world’s largest full-service provider of print and related premedia services. She also served as Executive Vice President and Chief Operating Officer for Veitch Printing Corporation and Veitch Digital Partners, a leading one-to-one marketing and printing company in Lancaster, PA. She played a key role in leading an emerging segment of the communications industry, bringing powerful integrated marketing services to an array of customers. Janet has led numerous professional seminars and training sessions for participants from a broad array of organizations ranging from small privately held companies to Fortune 100 corporations. Included were participants from such companies as Apple, MIT, John Wiley and Sons, Xerox, Oxford University Press, Hewlett Packard and many others. Janet has been active in business and professional development organizations for over two decades. Among these are: Center for Creative Leadership, Columbia University Graduate School of Business Program, Smith College-Smith Management Programs, W. Edwards Deming’s The New Economic Age Seminar, Six Sigma Champion Certification, and Western Michigan University, to name a few. She has also played key roles in community organizations, such as: United Way of Lancaster County – Board of Directors, Community Impact Council; The Lancaster Chamber of Commerce – Board of Directors, Women in Business Advisory Group Champion, Women in Business Mentoring Advisory Group, Envisioned Future Task Force and Ambassador; Thaddeus Stevens College of Technology – Board Financial Audit Committee; Girl Scouts of the USA – Huron Valley Council Board of Directors President and more.